It is the end of August, and our final shipment of broilers arrived on the farm yesterday. 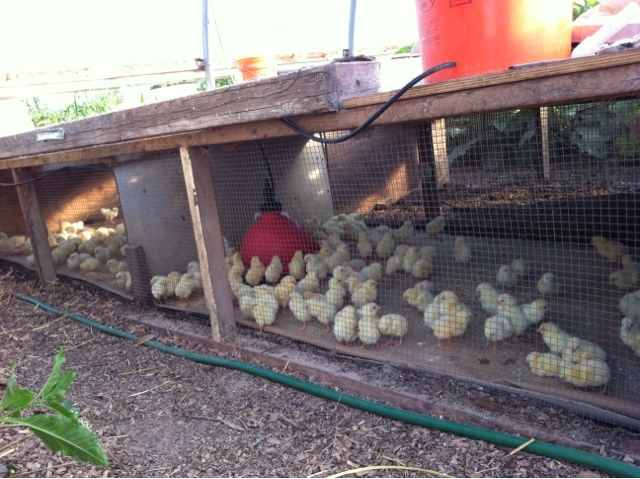 As seasonal growers, we do not raise broilers in the wintertime. They just do not do well, the ground under the pens gets torn up and cannot regrow and drinking water freezes! By the end of October or early November we will finish our season of chickens. Then turkeys for Thanksgiving. A few months of wintertime greens, eggs and milk from the cow and the right back at it! Tomatoes and peaches are being canned, the nights are cool, we are calculating how many days we can still grow vegetables, with seeds going in like crazy. Loving that it is not so hot and work can be completed quickly.